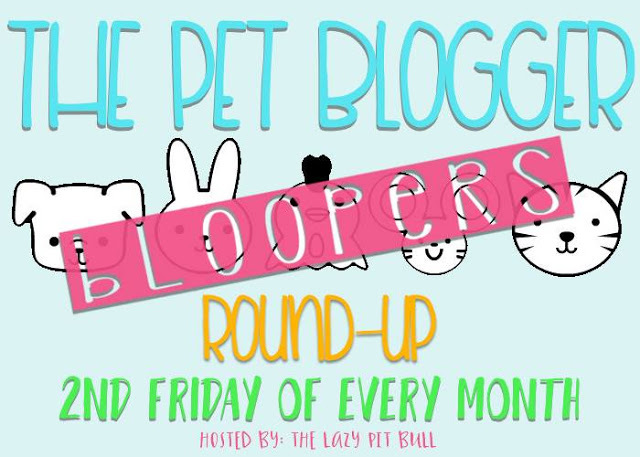 It's time once again to share our bloopers from the past month. 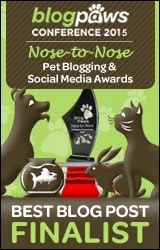 Being a pet blogger, I get a lot of silly pictures and even more bloopers. I just have a couple today. I have a new computer and most of my photos are still on the old one. First up, Shiner. 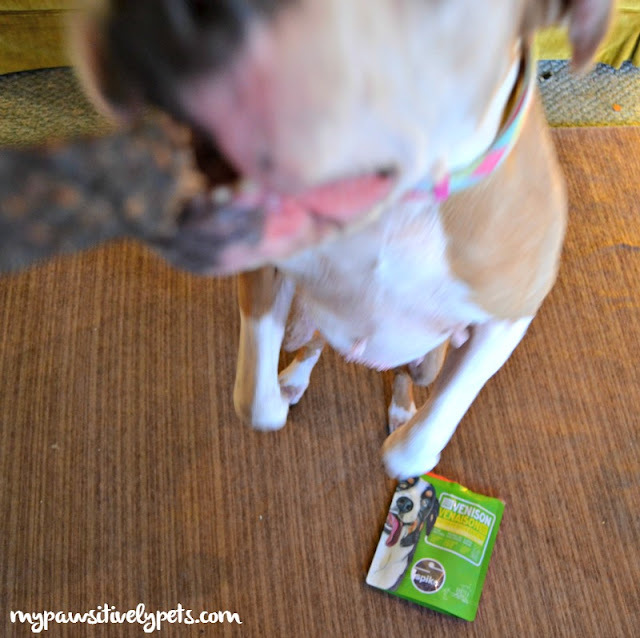 We recently did a photo shoot for new Petcurean SPIKE dog treats. I haven't posted the review here on the blog yet, but it's coming up soon. I did have the chance to post the YouTube video, however. Shiner was getting a little impatient and decided she had done her sit stay long enough. Fair enough. I was trying to get a picture of her sitting and looking at me while I held the treat up. Had there been better lighting or if I were using the flash, it would have come out fine probably. As for Callie, she prefers to be photographed on her own time. I had a lot of fun for our Hartz Babble Boxx photo shoot earlier this week. 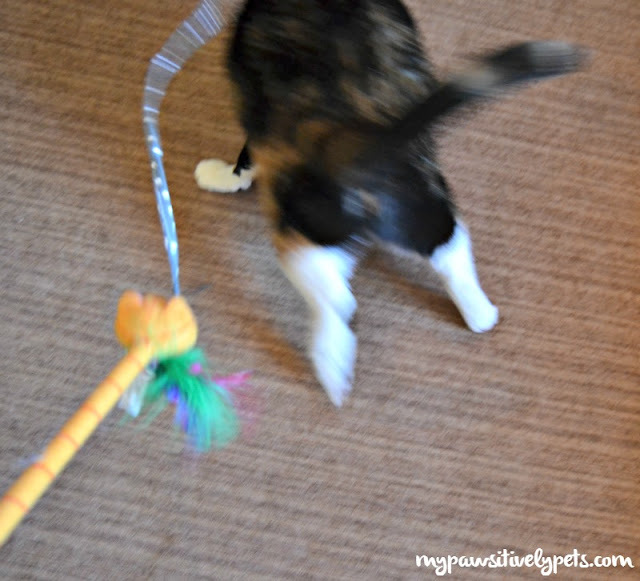 The wand toy gave me a lot of awesome shots with Miss Callie. That is until she decided play time was over! I haven't really done any photo shoots with Jack and Gus lately. It's probably past due that they had their photo taken. Will have to set something up soon! 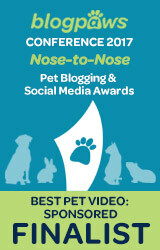 And, if I get any bloopers I'll be sure to share them for next month's Pet Blogger Blooper Round-Up. I have many similar shots! 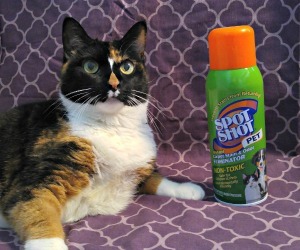 that arte always the funniest photos... Callie that's a super non-selfie :o) bravo! I love seeing everyone's bloopers cos then I don't feel so bad at the photos TW takes. Hi. I know this might be off-topic but we really seek help for this dog. Head over http://youcaring.com/helpheraheal please! I swear I take more blurry photos than in focus ones!